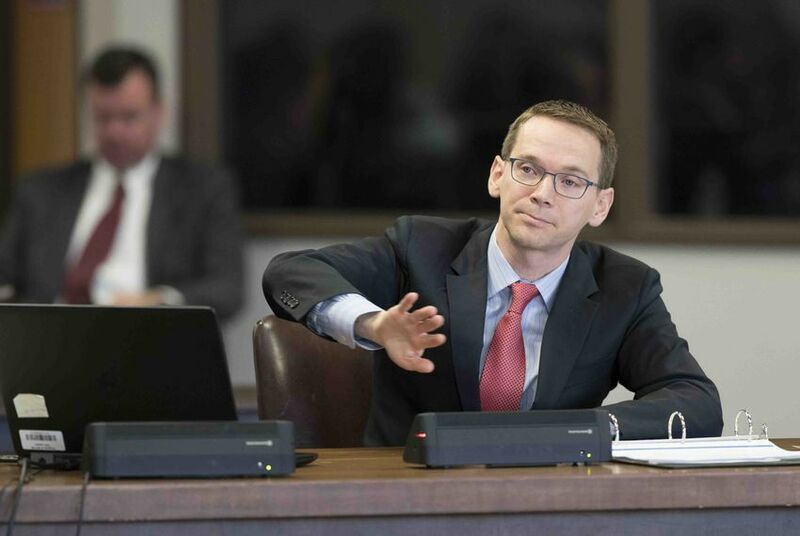 Texas Education Commissioner Mike Morath on Wednesday released criteria that schools affected by Hurricane Harvey will have to meet to be exempt from state ratings. School administrators have argued that all schools in the disaster area should automatically get waivers. Schools impacted by Harvey that are set to receive failing state ratings this year, based largely on standardized tests, will instead get a waiver or a "not rated" label — if they meet Morath's criteria. But school administrators have repeatedly asked Morath to waive state ratings for all schools in the disaster area, instead of just the percentage that meet his criteria, arguing the mental health and academic impacts of the storm apply to all students and teachers in the region. A 2015 state law requires the state to sanction school districts that have failing schools for more than four years by taking over the school district or forcibly shutting down the low-performing schools. School districts with waivers for their chronically failing campuses this year will also get a break from state sanctions, Morath said. Houston ISD has 10 schools that are chronically low-performing in state ratings and is depending on a Hurricane Harvey waiver to avoid state sanctions next year. But the Houston Chronicle reported Wednesday that four of those 10 schools likely wouldn't qualify for waivers and would trigger state sanctions if they receive failing state ratings this year. State Rep. Garnet Coleman, D-Houston, released a statement Wednesday promising to “vigorously analyze” Morath’s proposal. He represents Mading Elementary School, which has been rated failing for four years — and might not meet the any of the criteria for a waiver. “I will encourage Mading to individually appeal to TEA the denial of a Harvey Waiver and would give the same advice to any other Harvey-affected school that does not meet the proposed criteria,” he said in the statement. Schools and districts that don't automatically receive a waiver under Morath's criteria can appeal. Morath said more schools and districts will be eligible for waivers from state ratings than from previous storms. After Hurricane Ike, schools could only receive waivers if they were closed for 10 or more days.